“In this breathless third installment to Victoria Aveyard’s bestselling Red Queen series, allegiances are tested on every side. And when the Lightning Girl’s spark is gone, who will light the way for the rebellion? 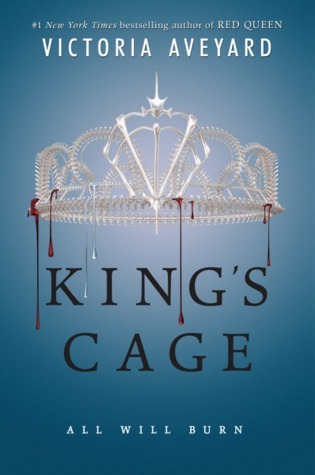 King’s Cage started off a bit slow paced with Mare being held captive by Maven, and though there were some seriously delicious and chilling (read: some serious psychological messed-uppery) conversations between Mare and Maven, I felt as if I were also a prisoner with the lack of setting changes. Despite the monotonous scenery, I can’t express enough how much I appreciate the realistic depiction of Mare’s experience while she’s a prisoner. She’s feeling so much guilt over the decisions she’s made and the people who those decisions have affected. She’s desperately lonely and isolated and Maven is the only source of human contact she’s being offered. She’s also been in battle, seen people die and also killed them. As a result, she’s suffering from some serious PTSD and as someone who’s also suffered from PTSD, I felt that the depiction of Mare’s mental battle was true and came from a place of experience and understanding. Mare’s captivity was broken up with the introduction of a new point of view. Cameron, the dear porcupine that we all love. Finally, Cameron gets her own full-fledged chapters. Cameron is everything I want in a secondary character. She’s sarcastic. She’s prickly. She says she cares about herself alone but deep down she cares about everyone and won’t just go abandoning people. She real and honest and blunt. I loved her in Glass Sword and I love her even more in King’s Cage. Having Cameron’s chapters interspersed with Mare’s kept the story moving forward and kept things interesting. It also helped the narrative from feeling too overwhelming as Mare is in a dark headspace for most of the time, which I thought was 100% accurate. Mare is in a dark place for a good portion of the book, and though I could connect to that headspace as someone who has experienced similar feelings, I still needed a break from all of it. 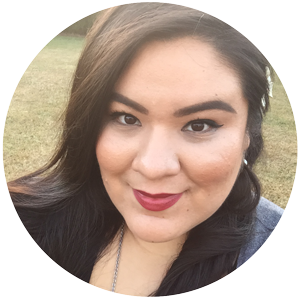 Cameron helped give me the breath of fresh air I needed. Also, Cameron’s perspective of Mare reflects the same feelings I’ve seen some readers express, namely that she is whiny. Though I’ve always liked Mare as a character, I think Cameron’s digs and (mostly harmless) insults directed towards Mare will vindicate those readers who’ve never liked Mare and thought she complained too much. Another perspective King’s Cage offers is that of Evangeline. Now, I’m going to be real honest, I’ve never liked Evangeline. I’m all for callous and cold-hearted, but Evangeline’s character always seemed to lack a real motive—a reason that drove all her steely demeanor. With that in mind, I was a bit hesitant to approach her chapter, lest I be impaled by her winning personality. Thankfully, as usual, I was so dead wrong about her. Evangeline’s chapters were some of the lushest and chilling chapters I’ve ever had the pleasure to read. I loved how Evangeline’s point of view colored the Silver world, its bureaucratic nonsense, the hierarchies, but most importantly the familial duty and expectations. A part of me wishes we would have been given Evangeline’s perspective all the way back in Red Queen. Her point of view was just that good! She’s just that complex of a character. She’s nothing like I could have imagined, she’s so much better. If you read King’s Cage at all, please, for the love of all that’s good in this world, read it for her. Lastly, the one thing that I keep coming back to in all these Red Queen novels is the same thing that Mare has been holding onto as well. Maybe that’s why I’ve connected to her so much, and why I like her so much? I keep holding onto this hope that there is something redemptive about Maven. Can Maven come back from everything he’s done or is he damned forever? After everything, can Maven be redeemed after all? Maven is so twisted, but we know that he’s not a monster of his own creation. We’ve known since Glass Sword that his mother crafted him into the cunning villain. Yet, despite all that he’s done, his redemption has been at the forefront of my mind since the end of Red Queen, and especially throughout Glass Sword. I feel like King’s Cage finally gives us the answer and I’m not sure if I’m just in denial or if there really is hope for the dark tortured prince. What I do know is seeking the final answer to this question is going to be the driving force behind why I’ll be returning to the Red Queen world in War Storm—expected release May 15, 2018 by HaperTeen. Add War Storm to your TBR on Goodreads! What do you think? Is Maven too far gone to be redeemed? What characters are your favorite that you love-to-hate? I still haven’t read this yet (part of me perhaps wanted to waited for WS to come out then I can binge the final two hah) but I’m really hoping that it picks up, especially with so much of this book focusing on Maven (who is probably my favourite character in the series). But I’m really happy to hear you connected with and enjoyed this one, Nicolette! Hey Joey!! So glad to be chatting with you again. After reading, I wish I had waited for WS. These cliffhangers are sort of killing me! I feel like the RQ series does a really great job of pushing you down this hill and you don’t realize you’ve been falling until it’s too late and then BAM–the book is over. Maven is my favorite. He’s so twisted and his psychology is so interesting. I’d honestly just read a book with his POV because I imagine that his headspace has to be this dark landscape of self doubt and isolation. I’m all about the characters who may or may not ever be redeemed. I always hold out hope for them though. I hope when you do pick it up that you enjoy it and the new POVs that are introduced!